"When I was young I smoked recreational drugs a few times. The last time was 16 years ago," Yachimovich confirms. Opposition leader, Shelly Yachimovich (Labor), acknowledged on Wednesday that in her past, she experimented with recreational drugs. 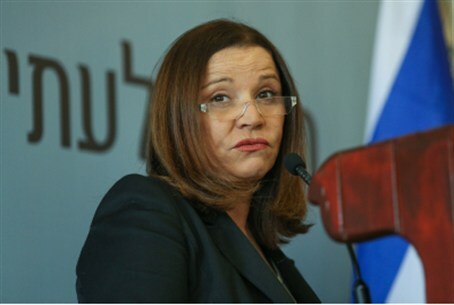 Unlike Yair Lapid (Yesh Atid), who continually denies allegations of prior drug-use, Yachimovich openly said on the Knesset Channel's program "Odds and Evens" that she smoked recreational drugs several times at a younger age and that the last time she smoked drugs was 16 years ago. "I'm at peace with my past, unlike Yair Lapid who keeps forgetting parts of his past, like, for example, that he emigrated from Israel, or other things," Yachimovich expressed on the program. Yachimovich also expressed her opinion that seriously ill patients should be allowed to smoke cannabis and that medical marijuana should become more accessible. The Labor leader's admission comes a month after Lapid courted controversy by saying in an interview he never smoked marijuana. "[Lapid’s] insistence that [he didn’t smoke marijuana] is incomprehensible and raises concerns about the way you make decisions," said two Israeli actors who recalled smoking with the Finance Minister. Currently, possession of marijuana is illegal in Israel and a very small scale of medicinal cannabis is legal.